It’s been a while, New York. About three months in fact. Three months since Ubisoft and Massive Entertainment surprised an audience turned cynical by Watch Dogs, The Crew, Assassin’s Creed Syndicate and anything else with a watchtower to climb. The Swedish studio delivered a coherent and compelling ‘shared world shooter; a game that matched Ubi’s obsession with map-littering busy work with an infectious loot grind and deceptively complex character building. Not to mention the genuinely innovative combination of PVE and PVP, The Dark Zone. Yet I can’t be the only one who felt like they’d had enough of The Division after hitting the level cap and messing about in the end game for ten or so more hours. The excitement of new knee pads with higher stats can only sustain interest for so long. 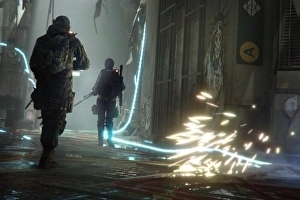 And the Dark Zone, as interesting as it was, had become a frame-stuttering mess on Xbox One, a place overrun by high level gangs intent on ruining everyone else’s enjoyment. It turns out, though, that in the three months since launch, Massive has been tirelessly working to improve its game, injecting it with the kind of regular content updates that would make a Destiny fan drop to their knees and weep, a commitment to improving the technical hiccups and splutters, and now, with Underground, the first proper DLC drop. And it’s quite the drop.